Beware that for the price of a 2011 Toyota Avalon Limited, especially with a few options, you could also have a 2011 Lexus ES 350—along with the superior dealership experience you're likely to find at a Lexus store. The 2011 Toyota Avalon is at once traditional and modern, with a classy, comfortable luxury-car look and feel combined with top-notch safety and a great feature set. 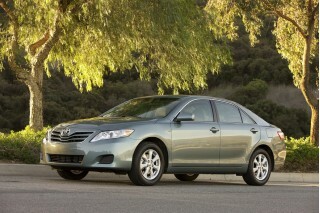 The 2011 Avalon is the kind of vehicle Toyota does really well. It doesn't fit the sweet spot carved out by buff books and enthusiast drivers. It simply provides the kind of carefree, low-fuss, no-brainer driving experience that plainly works for a wide swath of drivers, especially older drivers. Designed in California and built in Kentucky alongside the top-selling Camry, the 2011 Toyota Avalon is essentially a stretched Camry with more interior space and a streamlined ordering sheet, with some nicely conceived details woven into its off-the-rack suit of sheetmetal. It gets a more formal, more assertive grille, and some of the cutlines and moldings in the front bumper clone the same bits on the latest Benz E-Class, even, while the Avalon's crisper stampings give it a broader shoulder line than before. And in back, the generic Toyota taillamps light up with C-shaped LED coolness. Inside there's an elegant dual-cowl dash, with the second cowl arching over the radio and climate controls. And save for the bugle-bead radio buttons and the matte artificiality of the woodgrain trim, the cabin strikes us as styled and trimmed above its slightly downscale mission. 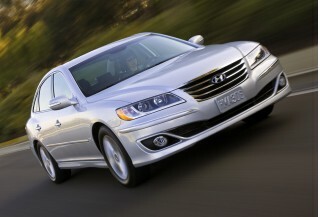 While the 2011 Toyota Avalon looks like a cushy luxury cruiser, it can perform—at least on the straight. 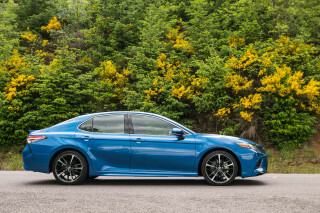 The 3.5-liter V-6 puts out 268 horsepower with a little more pronounced sound than an Avalon ever has, and feeds it out to the front wheels through a six-speed automatic transmission. The Avalon's the rare Toyota with decent on-center steering feel. It's light from that point to any point on the arc, but that's precisely what attentive but unengaged drivers need. The cushy suspension, though, is at odds with any need to quickly change direction, and there's lots of body motion. To fully understand the Avalon, you'll have to slip from the roomy but flat front buckets (which also vibrate at speed, in uncharacteristic fashion) into the back seat. Here the Avalon does is at its most convincing. The near-luxury accommodations have so much leg and head room, even with the power driver seat dialed back, we can't even think of a friend who wouldn't be cozy. The rear seats tilt back for long-distance comfort, and there's a keyhole of access to the ginormous trunk that makes a ski weekend for four a snap. The 2011 Toyota Avalon is the mainstream brand's big luxury sedan, and thus includes a few more features than you'd find on the rest of the Toyota line. The automaker has trimmed the 2011 Avalon into two models, with relatively few options. The base car has Bluetooth; steering-wheel controls for phone, climate control and audio; XM radio; USB connectivity; and the usual array of airbags, including a driver knee airbag. 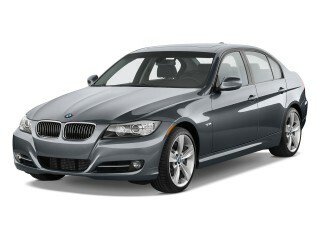 The Limited adds a smart-key system, ventilated front seats, and a power front passenger seat. The 2011 Toyota Avalon is just as conservative-looking as before—and feels slightly more derivative now—but new details give it a little more class and style. 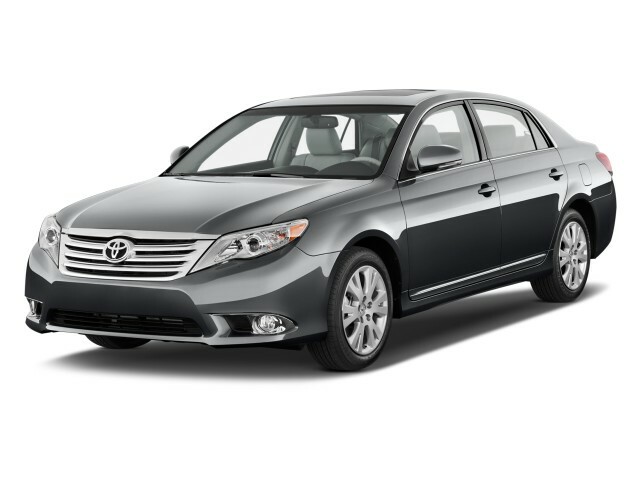 Designed in California and built in Kentucky alongside the top-selling Camry, the 2011 Toyota Avalon is essentially a stretched Camry with more interior space and a streamlined ordering sheet, with some nicely conceived details woven into its off-the-rack suit of sheetmetal. The formal grille? It's grown wider and more assertive, just like the gentle underbrow of its headlamps. From straight on, some of the cutlines and moldings in the front bumper clone the same bits on the latest Benz E-Class, even. Down its sides, the Avalon's crisper stampings give it a broader shoulder line than before. And in back, the generic Toyota taillamps light up with C-shaped LED coolness. The 2011 Toyota Avalon is confident and quick when accelerating or passing, but when the road turns curvy it's clear that comfort was favored over handling. While the 2011 Toyota Avalon looks like a cushy luxury cruiser, it can perform—at least on the straight. 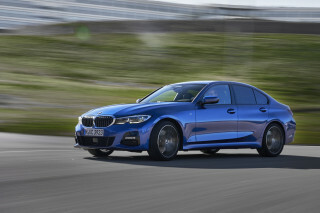 The 3.5-liter V-6 puts out 268 horsepower with a little more pronounced sound than an Avalon ever has, and feeds it out to the front wheels through a six-speed automatic transmission. It's a familiar recipe, found across the Toyota lineup from the Venza crossover to the Sienna minivan and in the Camrys as well. Here, the transmission's a little more jerky than in previous iterations; there's a manual-shift mode, but this isn't the sort of car where you're going to use it much. The Avalon's the rare Toyota with decent on-center steering feel. It's light from that point to any point on the arc, but that's precisely what attentive but unengaged drivers need. The cushy suspension, though, is at odds with any need to quickly change direction, and there's lots of body motion. The 2011 Toyota Avalon provides luxury-car comfort for six adults, with enough space to sprawl out and a cushy ride to match. To fully understand the 2011 Toyota Avalon, you'll have to slip from the roomy but flat front buckets into the back seat. Here the Avalon does is at its most convincing. The near-luxury accommodations have so much leg and head room, even with the power driver seat dialed back, we can't even think of a friend who wouldn't be cozy. The rear seats tilt back for long-distance comfort, and there's a keyhole of access to the ginormous trunk that makes a ski weekend for four a snap. All the while, the Avalon provides the sort of pillowy, cushy ride comfort that few sedans today provide. It's free of harshness, and beyond creamy—though the front end bobs up and down in a way that most new cars don't. The 2011 Toyota Avalon is likely one of the safest new vehicles you can buy, with all the onboard safety equipment and top-notch occupant protection. 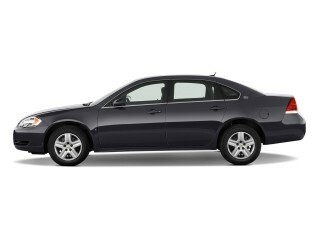 The 2011 Toyota Avalon is a very safe car. All versions, in addition to the requisite standard stability control and side and side-curtain bags, get a rearview camera; the base car's display is in the rearview mirror, and it washes out easily—though opposed to the navigation-system rearview display on more expensive models, at least it's in the right location. The federal government's NHTSA has yet crash-tested the 2011 Avalon; last year's model, which was structurally related yet had different sheetmetal and different interior appointments, earned a top five stars in both frontal and side impact tests. The insurance-funded IIHS, however, feels the 2011 Avalon is close enough to the previous model and has extended its top 'good' ratings in frontal offset and side impact to this model. The new Avalon has also earned a top 'good' rating in the IIHS rollover-related roof strength test and has once again been named a Top Safety Pick. The 2011 Toyota Avalon comes equipped as a luxury car; but beware: add just a few options and you could have a Lexus ES 350 for the same price. The USB port's in the center console, so hiding your media player is a snap. And the Avalon has storage galore: the glovebox is large, the doors have flip-out bins (but no molded-in bottle holders), and the console has two large storage bins behind and under lids for protective custody, though the vertical woodgrain door on our test car needed adjustment. The Avalon does tend to stray well into Lexus territory if you don't keep watch on options. One 2011 Avalon The Car Connection tested wore a pricetag of $34,094, including just floor and trunk mats, and a $900 JBL audio system with CD changer and Bluetooth streaming—and that's before a navigation system or Limited trim. At this leaner end of its pricing spectrum, the Avalon represents a big six-passenger deal—particularly if you're not devoted to the S-curves that life throws at all of us at one point or another. With highway fuel economy that approaches the 30-mpg mark, the 2011 Toyota Avalon is a greener road-trip choice than a large crossover ute. With this sole drivetrain, the big 2011 Avalon is rated at 20/29 mpg, which Toyota says is best in a class that includes cars like the Buick LaCrosse and the Hyundai Azera. Relative to most other vehicles that can also fit five or six occupants with the same level of comfort—namely, large crossover vehicles like the Buick Enclave or Ford Flex—that makes the Avalon a very green machine. 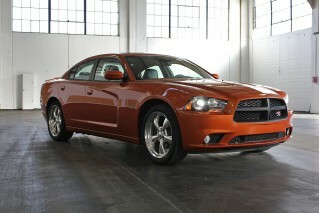 A great car. I don't trust the rear backup camera however.